Home Website Blog And Others How To Backup Template on Blogspot Blog? 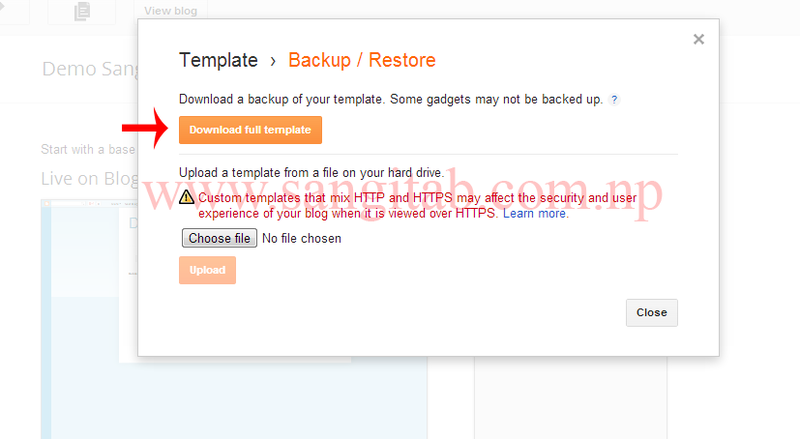 How To Backup Template on Blogspot Blog? We make many changes on blogspot template to give a great looks on blog. But always it will not work properly so before going to edit template we have to backup our present template. In case new template is not looks like or it don't work after editing, we can upload old one. 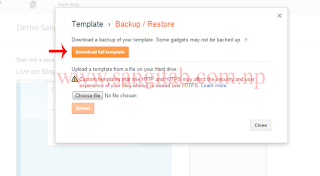 Here are the steps to backup template on blogspot blog. Login to your blogger account and choose your blog to backup template. Click on download full template. Your template will download on xml form.